When is a medical emergency a viable reckless driving defense? Reckless driving carries strict penalties in Virginia, but exceptions can be made if your actions were due to a serious or potentially life threatening medical emergency. A medical emergency defense is most likely to be successful when the driver was suddenly overcome without warning by a medical condition that affected his ability to safely operate a motor vehicle. This might include having a heart attack, stroke, seizure, fainting, or blacking out. Although drivers have a legal obligation to follow the rules of the road, the court recognizes that a driver can't be held accountable if he had no warning of what was about to happen. If you were driving a friend or family member to the hospital to seek medical attention, this may qualify as a medical emergency, depending upon the circumstances. The judge would likely look at factors such as what the friend or family member was suffering from, how fast you were going, your past driving record, and whether anyone was hurt by your actions. A medical emergency defense is highly unlikely to be successful if there is evidence that you knew you were not in a suitable condition to drive. If you'd been told by a doctor to avoid driving due to a medical condition, you can't use this condition as an excuse for reckless driving. If you've been charged with reckless driving and believe your case should be dismissed or reduced to due to a medical emergency, this issue should be discussed in greater detail with your attorney. An experienced defense attorney can help present the facts in a way that is most likely to be successful. Attorney T. Kevin Wilson is committed to helping Virginia residents charged with reckless driving build the strongest possible defense. To learn more, please call to schedule a free case review. 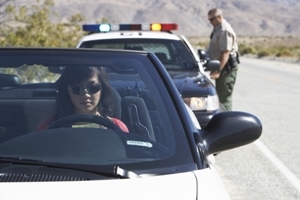 Can a Police Officer Search My Car After Pulling Me Over?